Buying a mattress is rarely a fun or time-friendly experience. Casper is looking to change that. Keeping with today's line of trying to improve traditionally crappy experiences: When was the last time you bought -- and enjoyed buying -- a new mattress? Mattresses are expensive, and dealing with a mattress dealer is akin to buying a used car. Can the startup community come up with a better process? It very well might have. Casper is a new direct sale mattress company that operates online, and only online. They sell one kind of mattress (in several traditional sizes), and give you 40 days to try it out. There's no soft, no firm, no naming malarkey. There is only one. 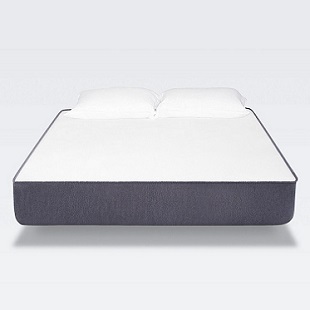 According to a company profile done by The Verge, Casper decided to go the "hotel mattress" route when designing a sleepin' slab. "We looked at the hotel industry, where they don't ask you what kind of bed you need, and in general people love sleeping on hotel beds," said Casper CEO Philip Krim. "We always knew about the games retailers play with having eight gradients of firmness - that's part of how they guide you through the showroom towards something more expensive and more comfortable." The mattress design uses memory foam and latex throughout, ending with a ten-inch-thick mattress that will supposedly satisfy the majority of users. Buyers get 40 days to sleep on it, and returns are free if the Casper isn't the right mattress for you. Regarding price, the Casper starts at $500 (Twin), and goes up to $950 for the King variant. Having just moved back to my native Boston from Los Angeles, a new mattress is high on my "To Buy" list. Anything I can do to avoid a trip to the mattress/furniture store (especially buying one online), is going to get some serious consideration.